Come and enjoy one of the most stunning areas of Lewis! A combination of beautiful sea loch and rugged Scottish mountains awaits you. Cottages let from Saturday to Saturday. Cottages nestled on the shores of Loch Seaforth offer you the opportunity to enjoy the tranquility of this area, either in and around the loch or in the hills around the Clisham mountains. Well equipped self catering cottages offer top class facilities in secluded but accessible surroundings. Set on the shores of Loch Seaforth, only a stone's throw from the sea, newly refurbished cottages offer comfortable accommodation with good facilities. Located within 30 minutes drive from either Stornoway in the north or from Tarbert in the south, Aline Cottages are an ideal holiday location to relax in. 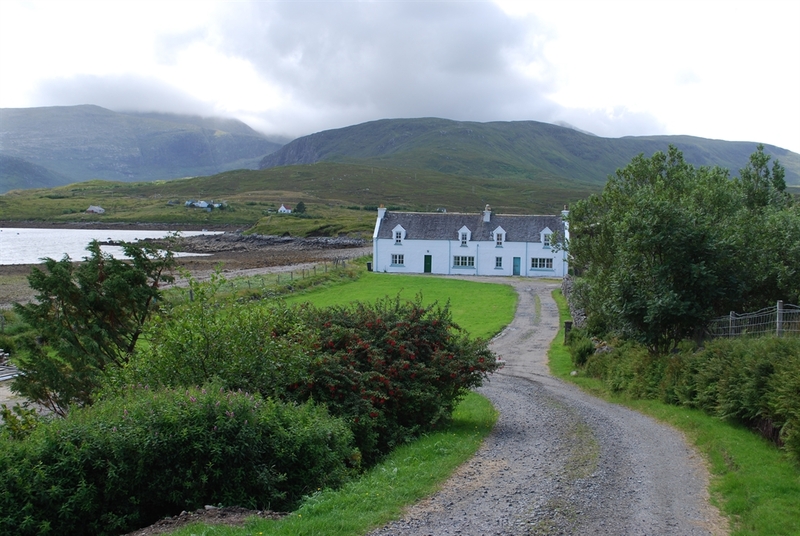 Set away from the main Stornoway to Tarbert Road (A859), the Aline cottages lie in their own private secluded settings. All cottages have TV/DVD, CD players, washing machines, microwaves. The cottages have easy access to the shores of Loch Seaforth for watersports, and the mountain area in close by for hill walking and exploring. This well equipped centrally heated cottage has one double room, two twin rooms, a living room with a pull out sofa and two bathrooms. There is also a well equipped kitchen with washing machine, tumble drier, dishwasher and cooker. 6-8 Beds. The lodge, recently refurbished has 2 double rooms, 3 twin rooms and a single room.